Taking out a mortgage is one of the biggest financial decisions you'll ever make, simply because of the sheer size of the debt you're taking on. Mortgages fall into two main categories: conforming and non-conforming. If yours is a non-conforming mortgage, you could be paying more. 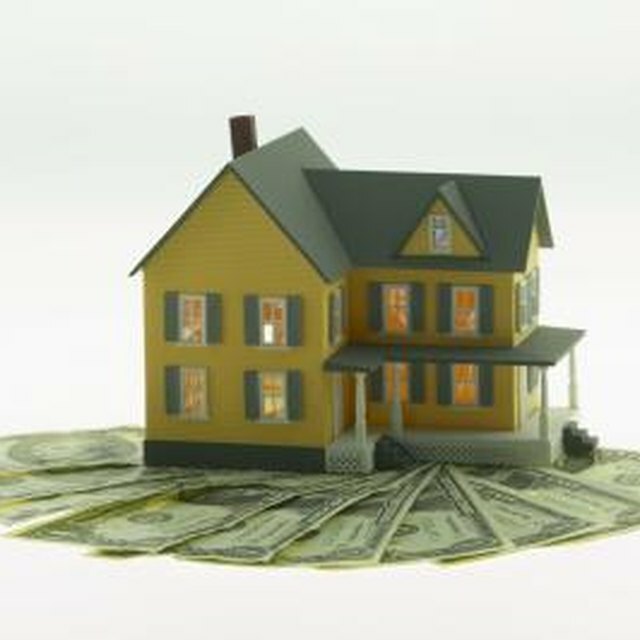 Whether a mortgage is a conforming or non-conforming loan depends several factors. First, the size: Mortgages of less than $417,000 as of 2013 generally counted as conforming loans. Loans larger than that were considered non-conforming, or jumbo loans. A few areas -- Alaska, Hawaii, Guam and the U.S. Virgin Islands -- have limits that are always 50 percent higher. In those places, for 2013 a mortgage for up to $625,500 could be conforming. Your down payment must be at least 10 percent for the loan to be conforming. In addition, your debt-to-income ratio typically must be less than 45 percent, according to Redfin. Conforming loans typically require a credit score of at least 620 and no bankruptcies within the previous two years. They require additional documentation for proving your income, assets and employment history. A negative amortizing mortgage is a non-conforming loan. For certain areas that have high costs of living, the Housing and Economic Recovery Act of 2008 enacted higher limits than the standard limits on the conforming loan size. For example, as of 2013, in the Honolulu metropolitan area, your mortgage could be as large as $721,050 and still be considered a conforming mortgage. On the mainland, the highest limit was $625,500 for areas including Los Angeles, San Francisco, New York, and Washington, D.C. The significance of a loan being designated as conforming is that it can be purchased by Fannie Mae or Freddie Mac, which makes the loan more marketable to lenders. For example, if you take out a $400,000 mortgage, your lender can sell that mortgage to Fannie or Freddie, and then turn around and make more mortgages. If the mortgage is $450,000, in most locations your lender won't be able to sell it to Fannie or Freddie. So unless it finds a private buyer, the lende has to keep the mortgage on its books until it's paid off. If you take out a non-conforming mortgage you're likely to pay a higher interest rate, even though you might be just as creditworthy as someone who's borrowing a little bit less. For example, as of April 2013, Well Fargo offered conforming loans at rates as low as 3.5 percent. However, the lowest advertised rate for jumbo loans was 3.625 percent. That might not seem like a big difference, but over the life of a 30-year mortgage that extra 0.125 percent totals $11,000 in interest. OneWestBank: What’s the Difference Between Conforming Loans and Non-conforming Loans?